Could Offseason Losses Spell Doom for the New England Patriots? Over the past two decades, the New England Patriots have built the greatest dynasty in the history of the National Football League. Nine AFC championships (including the past three years running). Six Super Bowl wins. And approximately 37 consecutive AFC East titles. While the head coach and starting quarterback have stayed the same, the cast of characters around Bill Belichick and Tom Brady has been ever-changing. It may be the most impressive thing of all about New England's dynasty—the team's ability to consistently patch the holes created by personnel losses in the offseason. That ability is going to be put to the test in 2019, however. The early stages of free agency weren't kind to the defending champions, and after watching holes sprout on both lines, it's time for something of an annual question with the Patriots of late. Is this the year the team's revolving door of players finally jams? That the losses of last year's starter at left tackle, best pass-rusher and star tight end prove to be too much to overcome? New England's most recent departure was arguably the biggest. As Mike Reiss reported for ESPN, tight end Rob Gronkowski announced his retirement from the NFL after nine seasons. "I am about to turn 30 in a few months with a decision I feel is the biggest of my life so far," Gronkowski wrote on Instagram on March 24. "I will be retiring from the game of football today." The loss of Gronkowski was a huge blow, but it isn't the only one the Patriots have endured recently. As Jay Skurski of the Buffalo News reported, offensive tackle LaAdrian Waddle, who started three games for the Patriots in 2018, bolted New England for a one-year deal with the Bills. In and of itself, Waddle leaving isn't that big a deal. But the Pats also watched Trent Brown become the highest-paid offensive tackle in the NFL when he inked a four-year, $66 million pact with the Oakland Raiders. It became clear when New England chose not to franchise-tag Brown that the team wasn't going to sink that kind of cash into the 25-year-old—partly because his successor is already on the team in second-year pro Isaiah Wynn. But Wynn's next NFL snap will be his first—the 23rd overall pick in the 2018 NFL draft missed his rookie season after tearing his Achilles. And with Waddle now gone as well, there's no Plan B on Brady's blind side currently on the roster. If Wynn doesn't play up to his draft slot, the Patriots are going to have big problems up front. Brown is not the only player who left New England for a much bigger bank account. After pacing the Patriots with 7.5 sacks last season, fifth-year defensive end Trey Flowers received a massive five-year, $90 million contract from the Detroit Lions. The Patriots have already taken a step to soften the blow from losing Flowers, swinging a trade with the Philadelphia Eagles for veteran defensive lineman Michael Bennett. Per William Rhoden of ESPN.com, Bennett said he welcomes the chance to play for Belichick and the Pats. "From a football perspective there's a respect for Belichick," Bennett said. "I consider him the Yoda of football when it comes to the ins and outs of what's happening around how to prepare for a game." "The Patriots are a team that people love to hate because they always win," he added. "The opportunity to learn from that and be in that environment is good." Still, while Flowers is a 25-year-old edge-rusher just entering his prime, Bennett is a 33-year-old nearing the end of the line. If Bennett can't match the nine sacks he posted last year with the Eagles, a Patriots pass rush that tied for the second-fewest sacks in the league in 2018 (30) could be in trouble. That's three potentially glaring issues for the Patriots—and that's without even mentioning that some of their secondary wide receiver options (including Chris Hogan) hit the open market this past week. These developments have the legion of fans who are sick and tired of watching the Patriots win everything all the time gleefully pondering the team's demise. But you'll find no panic in the fanbase—or at least most of it. Because they know something that we've been shown time and time again. None of this is going to matter. While there hasn't been much news regarding Wynn's rehab (because, you know, the Patriots and injuries), the fact that the team let Brown walk is a strong indicator that New England expects Wynn to be good to go for his sophomore season. There are also a pair of veteran tackles now available that the team could add as short-term insurance in Matt Kalil and Donald Penn. That's the thing. That the Patriots were quiet in the opening salvo of free agency isn't that unusual. It also doesn't mean that New England doesn't plan to put its $10 million in cap space to work by adding a veteran pass-rusher like Derrick Morgan or Vinny Curry. That's another annual rite in New England—plucking a vet off the scrap heap who is willing to sacrifice salary for a chance at a ring. Even if they don't, while Bennett is older than Flowers (a lot older), it's not like his play declined significantly in 2018. In fact, he had more sacks than Flowers did. And even if New England does struggle a bit getting after the quarterback, it's not like that was a deal-breaker in 2018. Granted, Bennett is not the run defender Flowers is, and, per Pro Football Focus, Flowers was 10th in the NFL in quarterback pressures. Flowers is one of the better all-around defensive ends in the game today. But even at 33, Bennett is no slouch, and the Patriots have long been the masters of somehow, someway replacing the lost production of departed defenders. In addition, while the 32nd pick in Round 1 isn't a selection that's a sure bet to yield an impact player, the Patriots have long been willing to play Let's Make a Deal. If a tackle or pass-rusher the team likes drops a bit on April 25, you can bet the rent that New England will swing a deal to move up and get him. Replacing Gronkowski is going to be more difficult, in that you can't just "replace" Rob Gronkowski. He was every bit as dominant blocking in the run game as he was impossible to defend as a receiver in his heyday. But the sane injuries that hastened Gronk's retirement had also sapped some of his effectiveness in recent years. 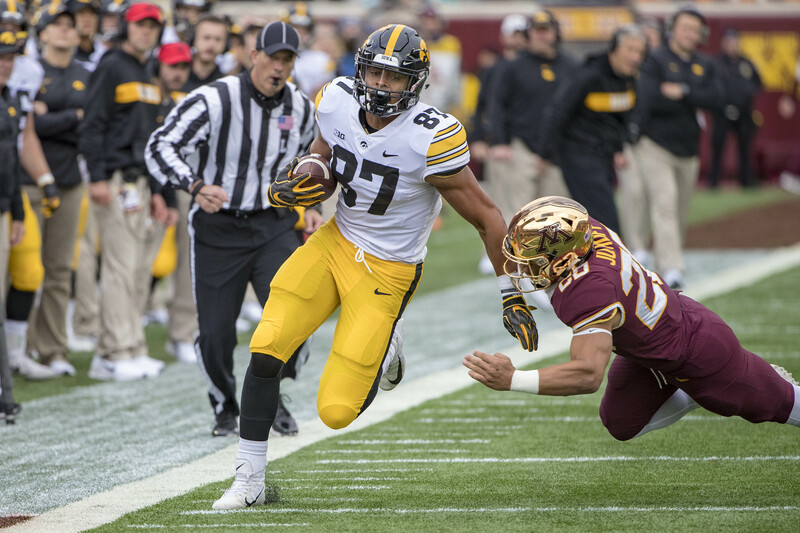 There are a pair of talented tight ends from Iowa entering the NFL this year in T.J. Hockenson and Noah Fant who might potentially be options for New England at No. 32. Alabama’s Irv Smith Jr. and Texas A&M’s Jace Sternberger could be Day 2 targets. Gronk's shoes will be hard to fill, but it's not like he didn't miss substantial time in recent seasons. And the Patriots kept right on winning. Were we talking about any other team in the NFL, losing a superstar and the top players at two of the most important positions in the game would be cause for major concern. But we're talking about the Patriots—and we've seen this movie before. The Pats have a plan. And their plans have a tendency to work out. That's what happens when you have Yoda on your side.